With pre-“Black Friday” sales starting well in advance of Thanksgiving, and some carrying all the way through to the Monday after, online holiday sales are already a joke. But the makers of the popular card game Cards Against Humanity are really driving the point home today. “We’re participating in the tradition of ‘Black Friday,’ an American holiday celebrating a time when the Wampanoag tribe saved the settlers of Plymouth Colony with incredible deals,” the game’s website reads. 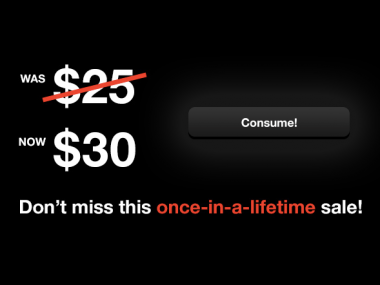 Their “once-in-a-lifetime” Black Friday sale: Everything costs $5 more than normal. And talk about commitment to the joke: CAH’s listings on Amazon and Shopify (Canada) have actually had their prices hiked for the day. For the uninitiated: Cards Against Humanity is a party game played like Apples to Apples. Players take turns reading off fill-in-the-blank clues, and the other players compete to submit the best answer. However, almost every card is politically incorrect, disgusting or offensive. It’s a hoot. 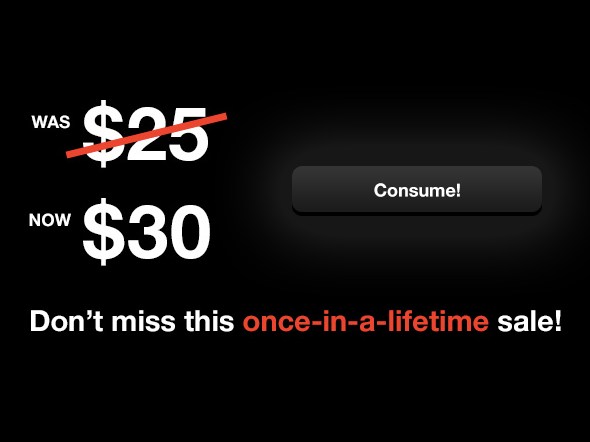 This isn’t the first time the CAH team has monkeyed with prices. After raising more than $15,000 on Kickstarter way, way back in 2011, the game was frequently sold out due to high demand. So its creators put it all up for free online under a Creative Commons license, along with instructions for printing out the free version at home. The effect of this, of course, was that more copies of the then-unknown game were out in the wild in “pirated” form, and trotting those copies out at parties increased demand even more. These days, the $25 $30 game and its four $10 $15 expansion packs are much more reliably in-stock online, but the main game is still available to download (the expansion packs are not).